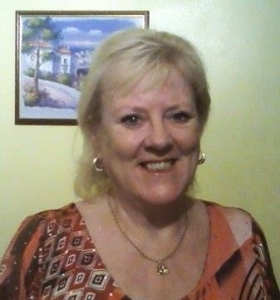 Hi, I am Annette, and I co facilitate an Independent Spiritual Centre together with my husband, where we offer a Sunday Spiritual service, demonstrations of mediumship, educational evenings and charity events. I take the Centre’s Sunday Spiritual services as the guest medium at regular intervals and have served other churches. I have also chaired Debate nights with my students and I demonstrating our mediumship at the end. I have also run an open circle at the Centre for anyone interested in learning awareness. I currently carry out One to One personal readings. Compose and facilitate all day workshops on all aspects of psychic and mediumistic Development. I also teach one to one personal Tuition of mediumistic development. I am also a medium at Psychic Parties, Psychic Fayres, Psychic Suppers and Public demonstrations. 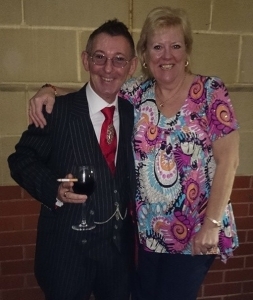 I have worked for Colin Fry behind the scenes and will be on a same billing with Gordon Smith on a P&O Psychic cruise in April 2015. I come from a long line of Spiritualist Mediums and attended an SNU Children’s Lyceum at the age of four. I first saw Spirit at around five years of age seeing a lady in my bedroom every night. It was not until the age of seven that I discovered the lady’s identity was in fact my great grandmother. I progressed by attending my local Spiritualist church, becoming a committee member for four years and taking courses on Spiritualism and also attending open circles / closed circles / Development workshops and residential courses to learn all that I could and develop to the best of my abilities. I have been sitting to develop and learn the best part of my sixty years on this earth in one way or another. Which has brought me to the point where I am now. I feel that I have moved with the times in my approach to teaching, keeping the humility in what we do but dispelling the mysticism and misconceptions of the past.